Virtue's ciders begin with the best locally grown fruit as provided by our farm partners. Hard cider was the first drink of the forefathers. It was a part of their English heritage and, frankly, easier to make than beer, which required planting fields of grain and not just plucking fruit from a nearby tree. At the height of the apple harvest, crates and crates of McIntosh or Cox's Orange Pippens might arrive all at once. Other times, a local farmer might deliver a mixed batch of apples from his farm. Occasionally, an apple we've never tasted before is mixed into the box. The revival of cider making in Michigan is encouraging orchardists to bring back varietals almost lost from their farm. 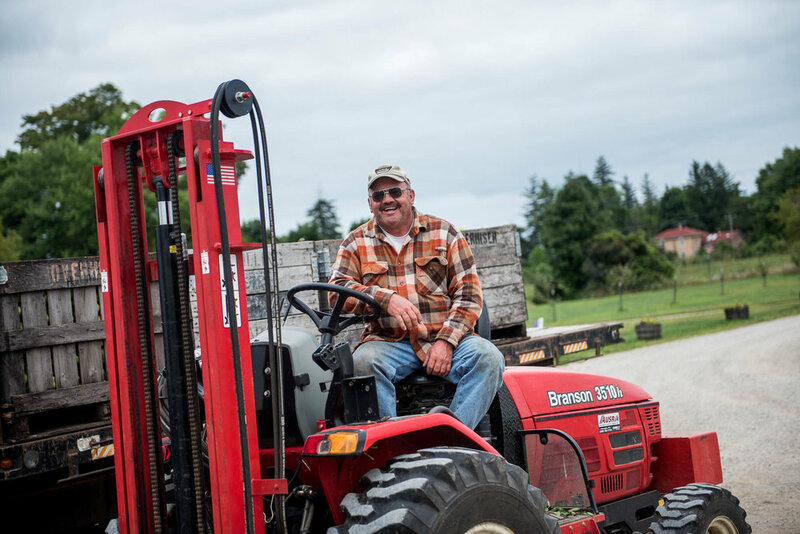 Click through the photo gallery to meet some of the great local farmers that bring the best fruit to Virtue Farm, so that we can bring the best craft cider to your glass.